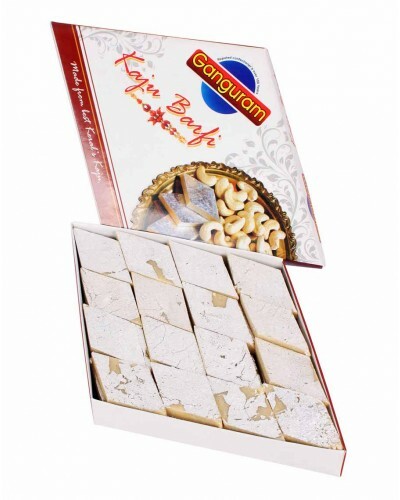 Widely enjoyed by all sweet lovers. 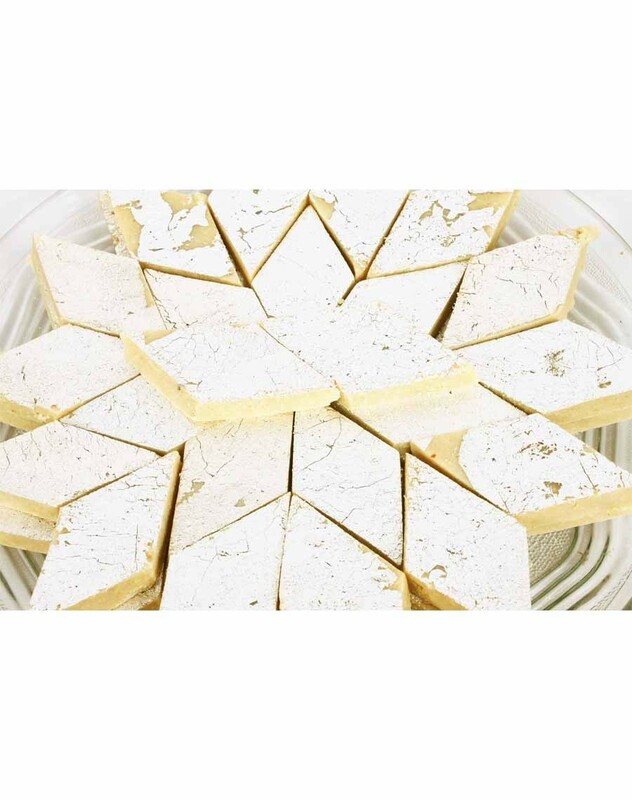 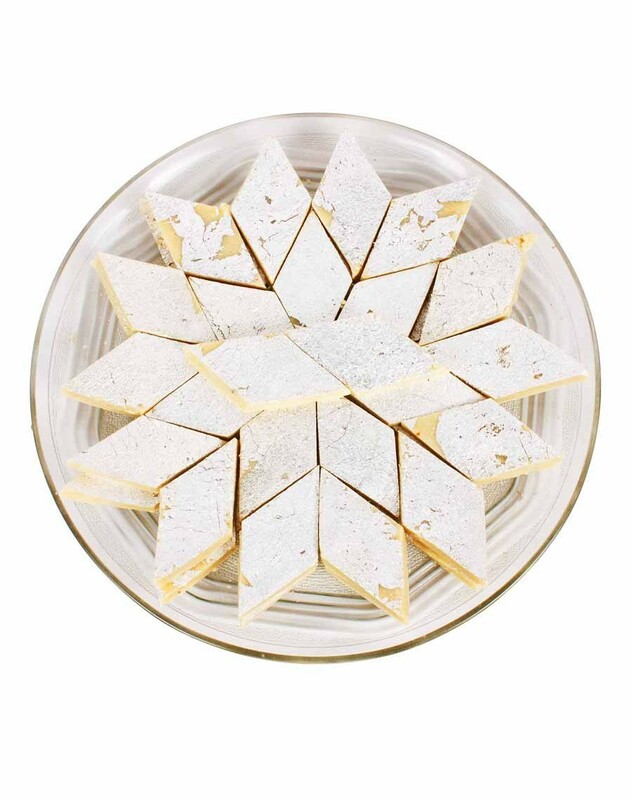 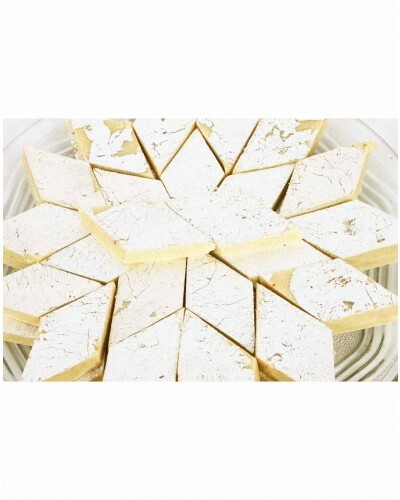 Kaju barfi - Katli is prepared with a rich paste of cashews soaked over night and mixed with sugar syrup and nuts and saffron and garnished with silver foil. 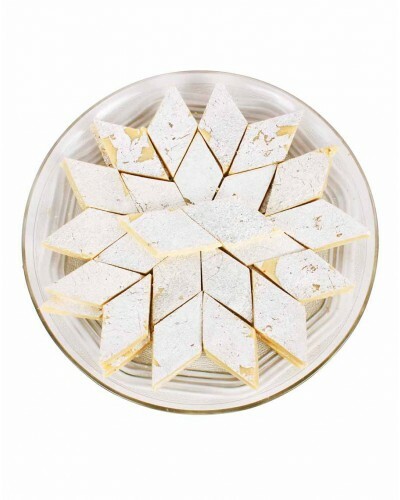 Its diamond shaped barfi-Katli. Products are made up of pure and natural ingredients. This popular sweet is extensively savored during festivities and exchanged with near and dear ones on important occasions.